The hive mind: from echo-manipulation to eco-pollinization. From 22th to 24th of November, an international group of artists will meet at the PIKSEL Festival in Bergen. 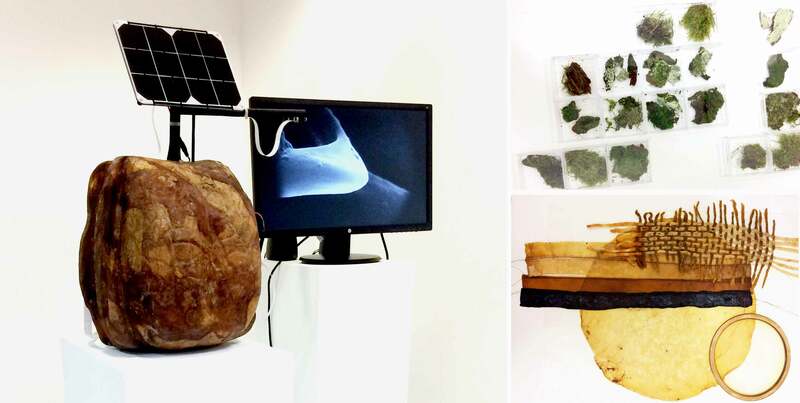 Throughout concerts, installations, performances, workshops and presentations, artists will share artistic ways to look at bio-data and ecosystems. Buzzocrazy! The Piksel18 festival slogan points to the new era of “post-truth” based on appeals to emotion rather than policies and facts. Stretching the truth can be seen as just part of a game. The post-truth affects how we make sense of the world around us. That phenomenon has a name — agnotology, the study of culturally induced ignorance or doubt, particularly the publication of inaccurate or misleading scientific data. The human mind has recently evolved to include the thinking process of social media as a whole. We’re connected to social media like a great hive mind. The importance of what the hive spreads, staying in step with the hive, becomes more important than what happens in reality or maybe it can even be said that what the hive thinks becomes reality. People increasingly seek information that confirms their ideological beliefs, rather than information that’s factually accurate from reliable sources. And thanks to scientific advances in data metrics, the social media companies now have almost perfect mind control technology. Even on the subject of climate change, people have become incredibly polarized. The hive mind is generating climate science-denying stories. 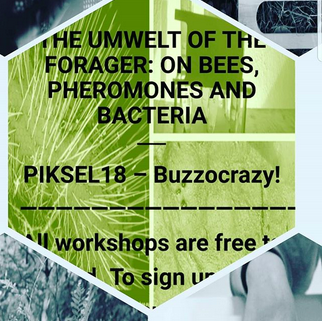 Piksel 18 Buzzocrazy! Claims to repair the hive mind. The global consciousness has been manipulated and we have to bring it back again from echo-manipulation to eco-pollinization, we seek the bee drones as the new metaphor to restore the logic ecosystem.